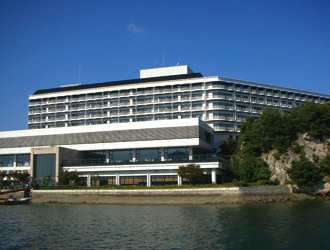 Aki Grand Hotel is a resort hotel located on the seashore on the opposite side of Miyajima Island. Please enjoy dining at the Japanese and Italian restaurants whilst seeing the sunset of Miyajima Island. The pool and terrace is open in the summer! Hotel is located within a 5 minute walk from Miyajima ferry terminal and 10 minutes walk to Itsukushima shrine, surrounded by rich greenery where wild deers live. 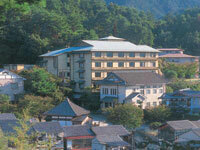 Iwaso is at the entrance of Momijidani Park, and offers the pleasure of Miyajima throughout the year. Cherry blossom in spring, lush greenery in summer, autumnal leaves in autumn and snow in winter.